Shrink Chamber machines suppliers| Shrink Chamber machines manufacturers| Shrink Chamber machines exporters in Mumbai,India. Amar Packaging Mfg Shrink Chamber Integrate sealing and Shrinking. One Step to Complete entire Process. Inking Transparent Glass cement hood making sealing and shrinking Processes fully visible. 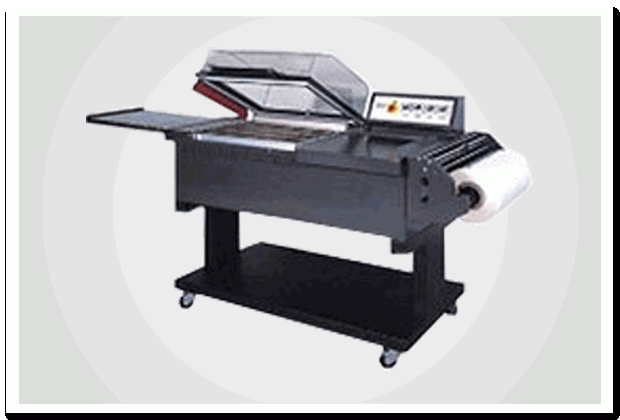 Sliding Film rack to received film to various Specifications. Low Power Consumption Conveyor Screen with Adjustable Height. Automatic Discharge Products after packing. Reduces cycle time and double output. Suitable for such shrink film as PVC, P.P and POB Film. Job Max Size W x H x L 16"x12" 20"x16"